I had to play also for Law Academy team in Ukranian Team Chess Championship (Alushta, 16-25.05.2012) but couldn’t go there because of sad story which had happened in my family. In this article I will report about Moscow,Remagen and Reykjavik while my impressions from Bremen,Plovdiv and Sarajevo I will share in coming posts. Moscow GM Tournament. Missed many chances due to time trouble. I managed to get good positions out of the opening but before 40th move control I used to make many stupid decisions. The cause was just simple : I had been spending too much time in the middlegame. 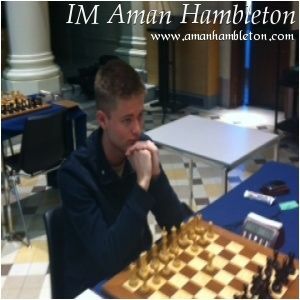 In both games which I won (against Ray Robson and Alexey Reshetnikov) I was up on time the entire game. Though my participation can be considered with a mark «bad» , I got a lot of experience and made a serious step to get rid of my time trouble problem. Aeroflot Open A. This tournament is considered to be one of the strongest chess events in the world. There are no easy opponents even if you play on the last board. For example,one strong GM 2570+ had 0 points out of 3 rounds. My participation wasn’t great too,I lost only one game but didn’t win any of them. So my result was -1=8. The second bad tournament in a row but more and more experience! Schachbundesliga, weekend in Remagen. My team SK Turm Emsdetten faced Solingen and SK Remagen. The first match we lost but match against SK Remagen had more value for survival in Elite group. And we won with a minimum score! Jonny Hector defeated Alexandre Dgebuadze in a very complicated game. Mentioning my personal result I finished both games in draw against Daniel Stellwagen and Gawain Jones. Reykjavik Open. An amazing country and wonderful organization of the event! That was my first visit to Iceland and I got only superb impressions. The venue of festival was Harpa Concert Hall, maybe the most spectacular venue for chess event ever. Apart from playing chess,I took participation in friendly soccer match «Icelandic Chess Players vs Rest of the World» and went on excursion to Gullfoss Waterfall and famous Geysir. Now back to chess. I started 3/3 and it became clear that experience from Moscow finally paid out. The middle of the tournament wasn’t good,however wasn’t bad too. As usual,the last game had to decide everything. And I lost a completely winning game (more than 3,50 by Houdini) just in 1 move! The worst blunder in my career which cost me sharing the 2nd place and quite a good prize… Nevertheless,I brought only positive impressions from Iceland and hope to come there again! And now the most interesting part of the article : videos and photos! Запись опубликована в рубрике Germany, Iceland, Russia, Travelling с метками Germany, Iceland, Moscow, Remagen, Reykjavik, Russia, Travelling. Добавьте в закладки постоянную ссылку.